The Pack Run Cap for women from the BUFF 2018 Spring-Summer Collection. A new approach to sport caps. 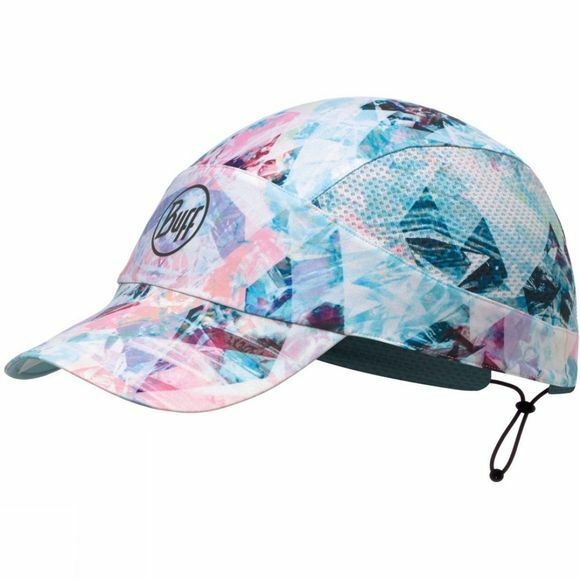 Woman cap combining style and performance, this ultralight cap is designed for outdoor activities like trail running, hiking and trekking. The Pack Run Cap offers outstanding protection against the sun and a great sweat management system. On top of it all, it packs into a tiny ball without losing its original shape once released. Elastic: 70% Polyester 30% Eslastane.